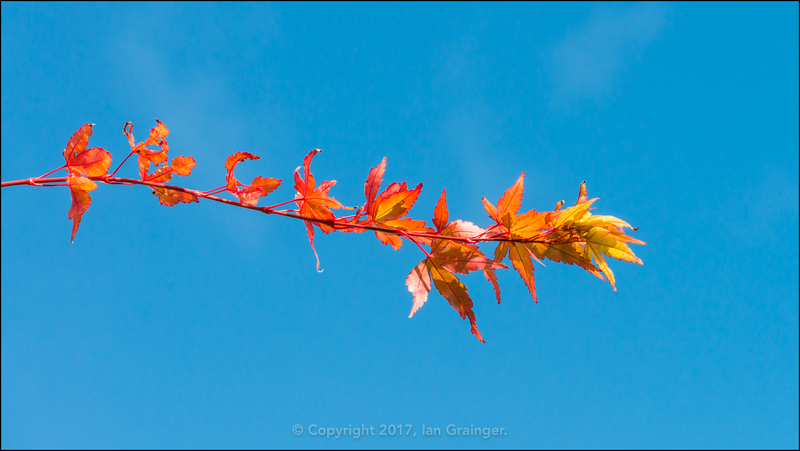 It was another bright but frosty day for my photo shoot this weekend, but my choice of photo subjects seemed to be declining rather rapidly as the year progressed. 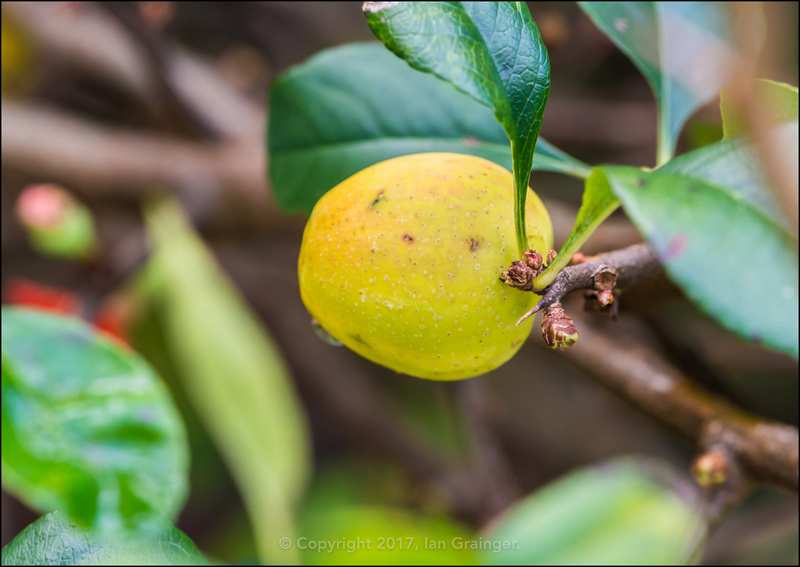 ...which was rather strange, as it was also in the middle of producing fruit from last year's blossom! 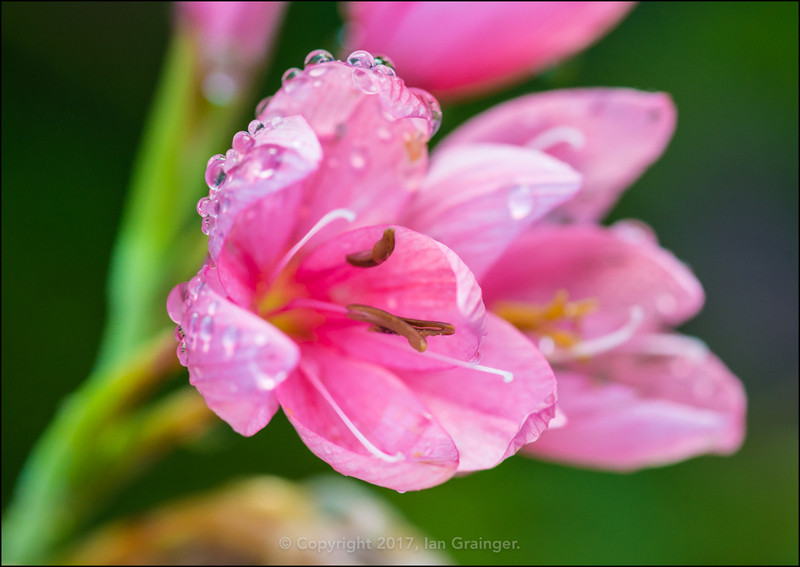 There were very few flowers now remaining in dad's garden, and even the River Lilies (Hesperantha coccinea), which are usually the last flowers to spring up in the garden, were beginning to flag. 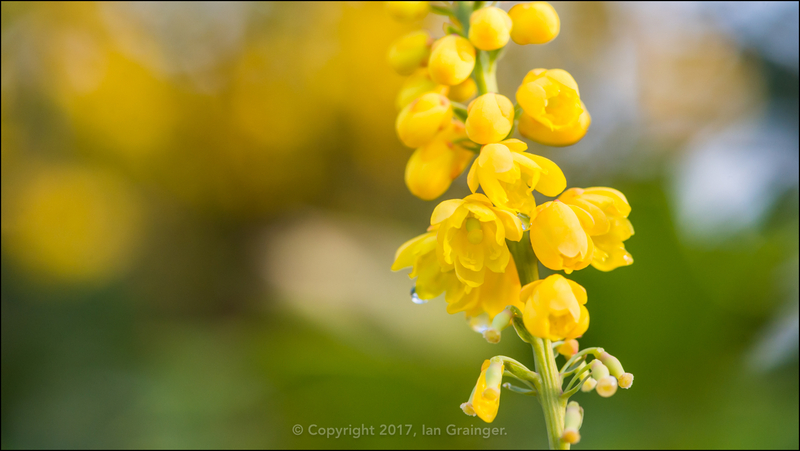 The Mahonia japonica bush, which flowered all the way through Christmas and the New Year last time around was also beginning to gradually fade, but I was hoping it would have a second flush of blossom later in the year. 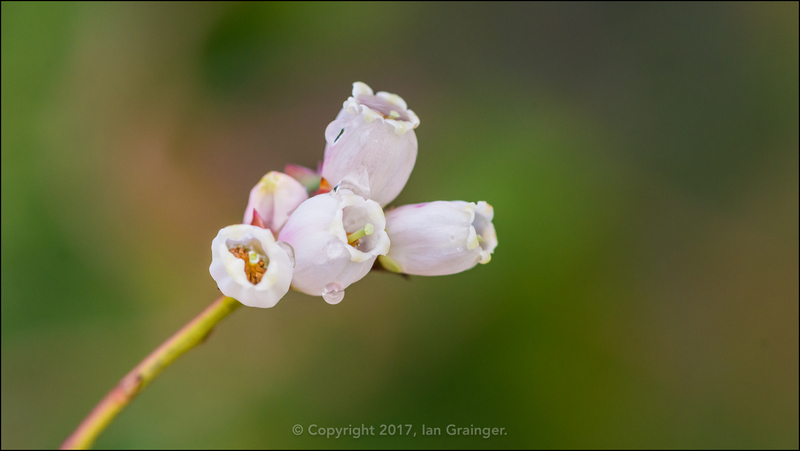 The Blueberry (Vaccinium) bush was already on it's second flush of blossom, but I didn't expect to see many actual Blueberries while it was so chilly. 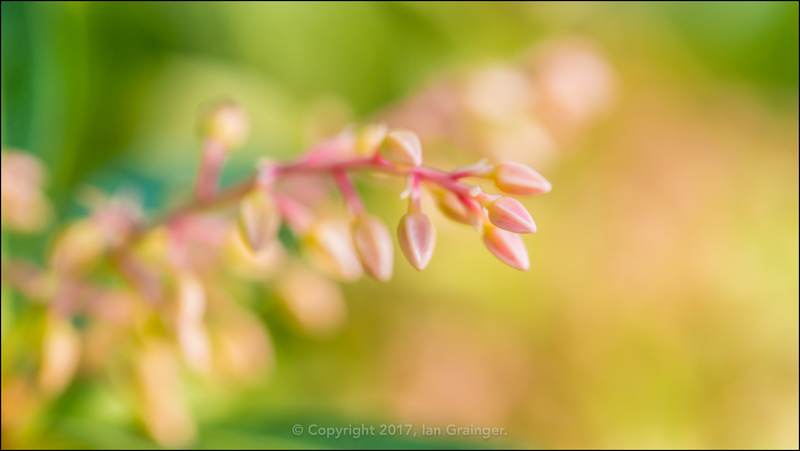 The only other flowers I could see arriving in the immediate future were some very early Forest Flame (Pieris) blooms. 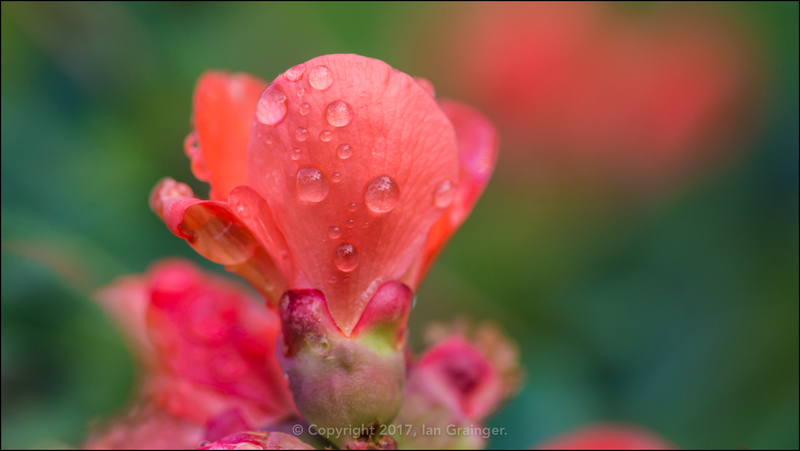 These shouldn't really be arriving until early in the New Year, but they looked on track to be blooming before Christmas. 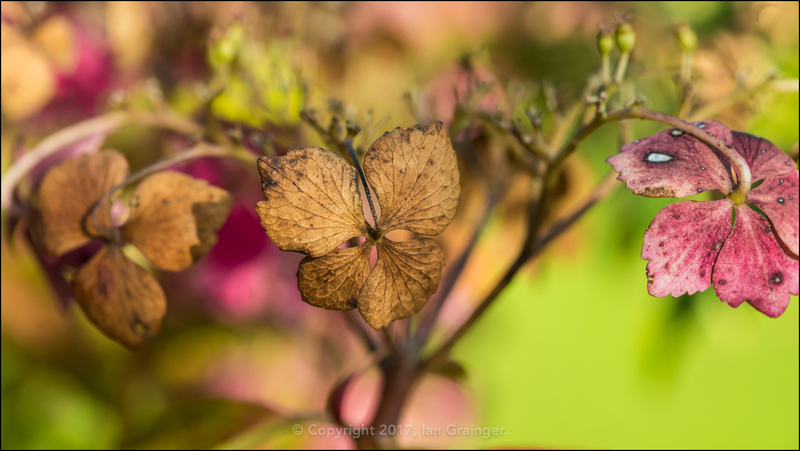 ...as did the majority of the Lacecap Hydrangea (Hydrangea macrophylla) bushes. I searched the Twisted Hazel (Corylus avellana Contorta) tree quite thoroughly for Hazelnuts, but it seems that the resident Grey Squirrels (Sciurus carolinensis) have snaffled them all. 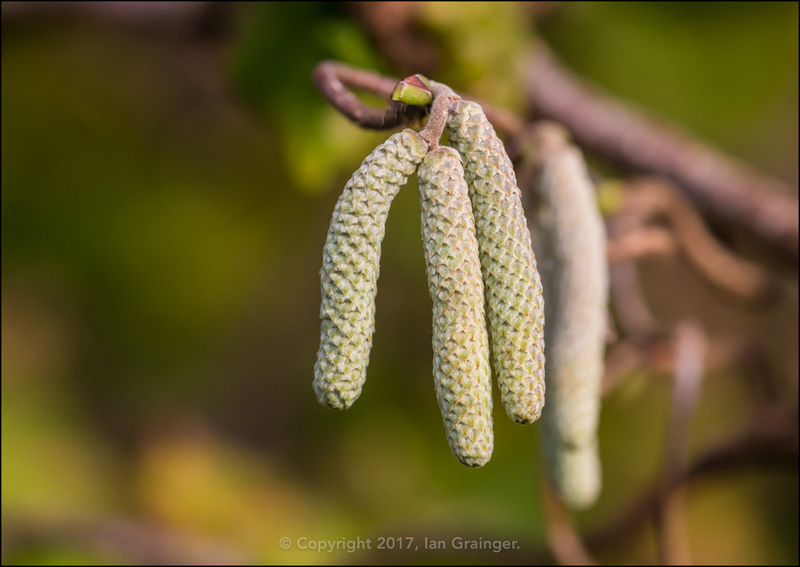 However, the catkins were coming along nicely. It seems that dad had attracted a new garden visitor recently. 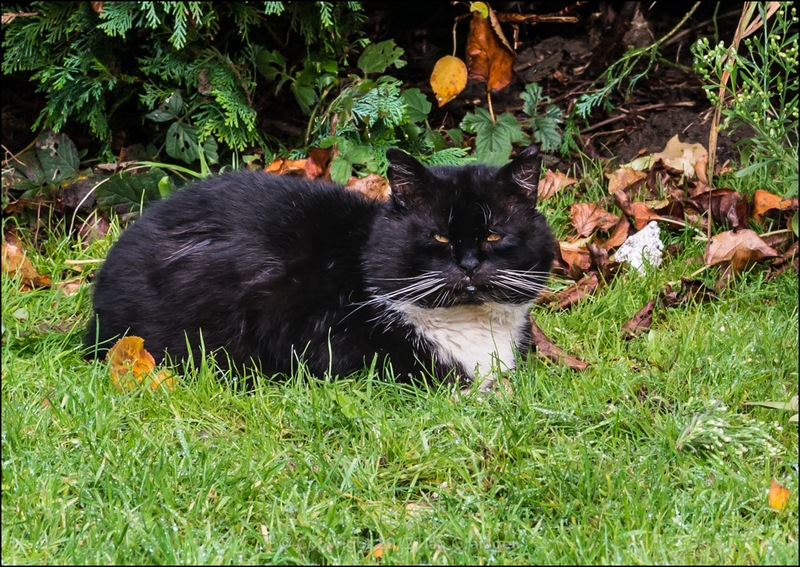 This black and white cat was very wary of me as I wandered around his new domain, but I suspected it wouldn't be long before we were the best of friends. Finally, this week I'm bringing you a picture of a favourite fish of mine that I saw at a local pet store. 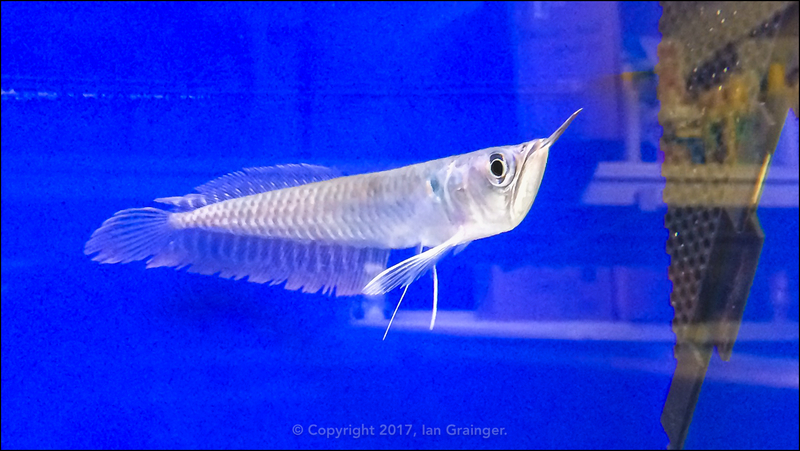 It's a juvenile Silver Arowana (Osteoglossum bicirrhosum), and looked so damned cute it was really hard to resist wanting to bring him home. However, this adorable little four inch long fish will eventually grow into a three and a half foot long monster, and will eat pretty much any tank mate you try to keep him with! He'd also require a super large aquarium, so it was best that I left him in the shop!